The fan brush seen in our rooting training DVD. 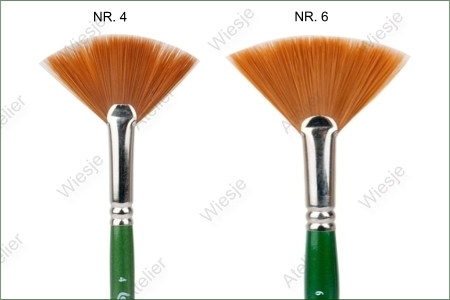 Use this brush when applying the internal purple wash inside the head and limbs and also for applying the glue after rooting. The long handle is perfect for reaching into the deepest parts of any doll head or limb. The broad fan bristles makes applying the glue and internal purple wash quick and easy leaving a smooth and even layer throughout the entire interior surface.